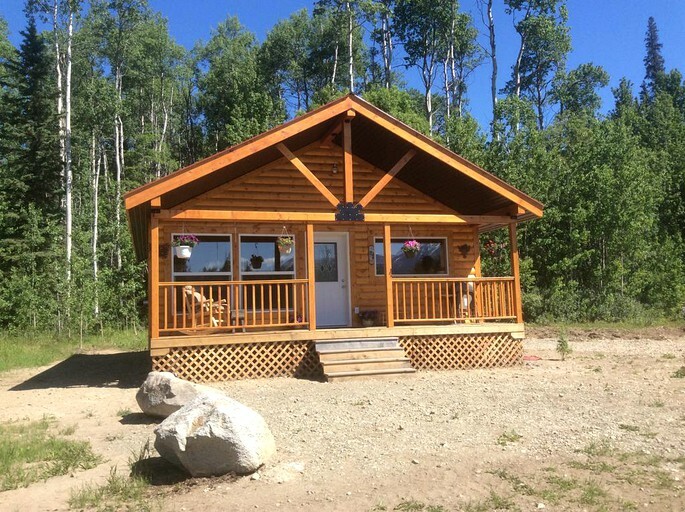 This stunning log cabin rental is located near Telegraph Creek in Northern British Columbia features three bedrooms, one bathroom, and can sleep up to eight guests comfortably. The master bedroom offers a queen-size bed and gorgeous mountain views from the windows in the room. In the second bedroom, guests will find a queen-over-queen bunk bed that can accommodate four guests and is the perfect space for children. 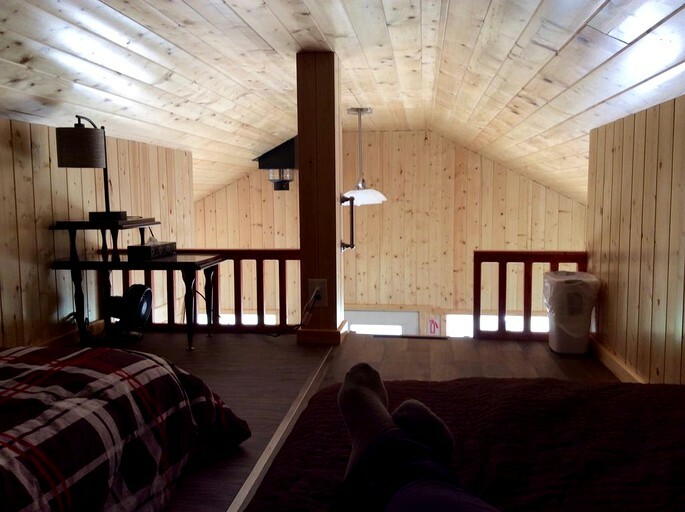 The final bedroom located in the loft area features two XL twin beds and a ladder leading up to the room. The property features several modern amenities that guests will love. On site, guests can enjoy printing services, free, long-distance calling in Canada and the U.S., complimentary Wi-Fi, and satellite TV for entertainment. 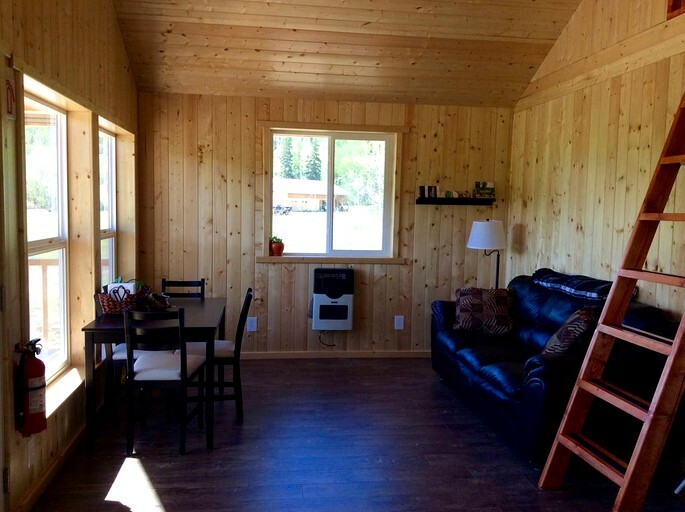 Additionally, this lovely property features a private washer and dryer unit, a shared kitchen, a shared living room, and shared bathroom with a shower. 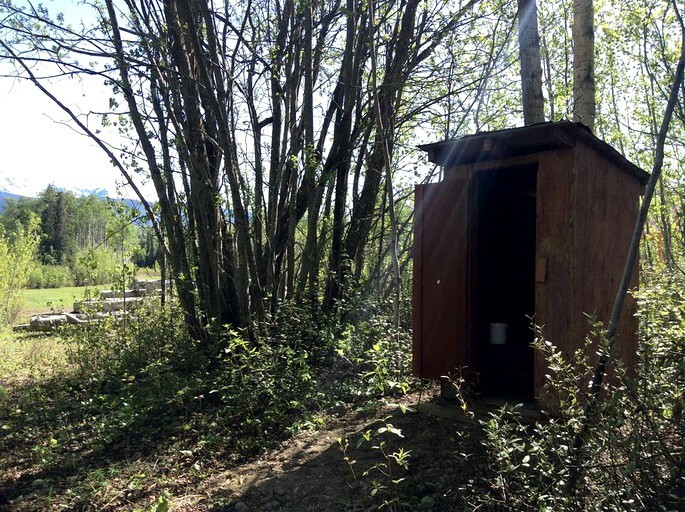 An outhouse is also located outside of the property, as well as private overnight parking. Guests can also enjoy a large yard outside, with scenic views and several paths for walking and hiking located near the property. River boat tours on the Stikine River, in Telegraph Creek! 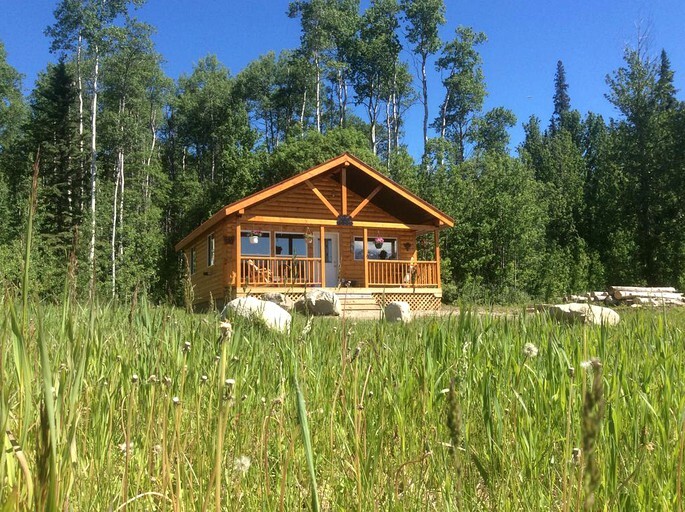 Nature-loving glampers will love all the ways to get in touch with the outdoors at this beautiful property. 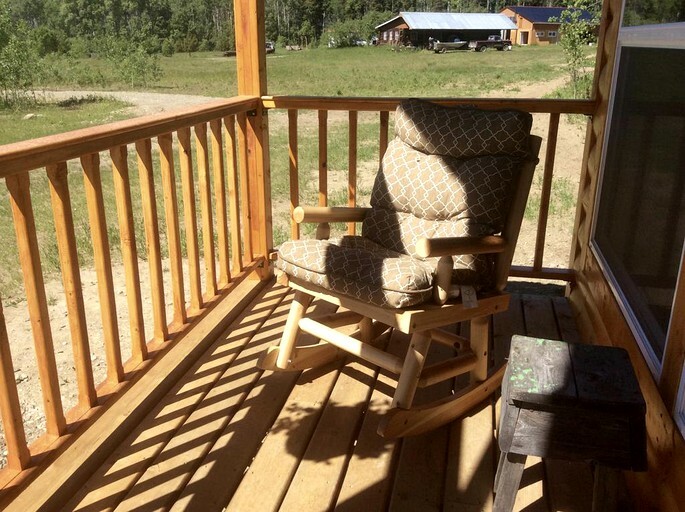 On site, guests can go walking or hike on the surrounding paths and trails near the property. Guests can also take a drive out to Dease Like and soak up the sun or swim in the water. 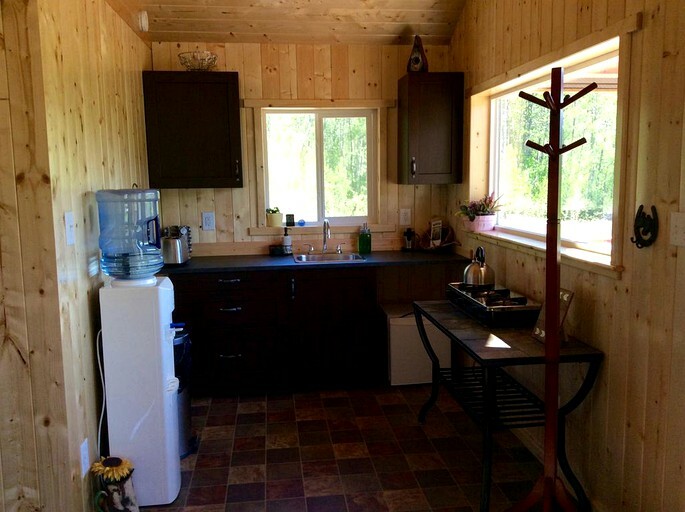 Bird watching is also available at this glamping site, and guests can enjoy stunning scenic views from several spots on the property. 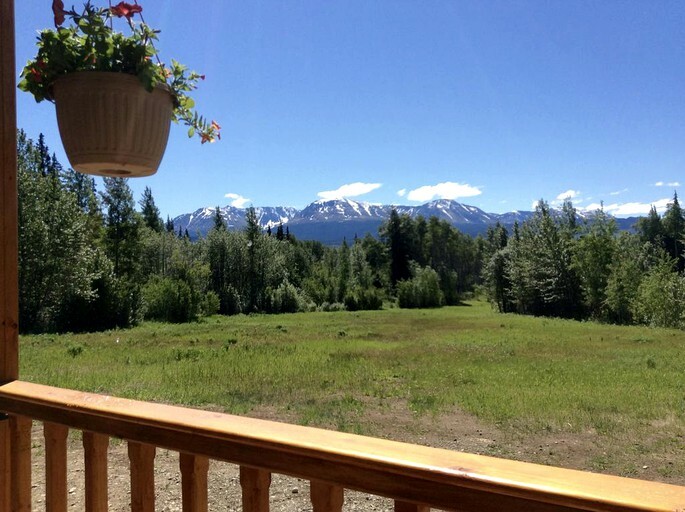 Guests can also venture to Whitehorse or Atlin and explore the wide variety of shops, restaurants, and cafes located in town. After a long day of exploring the area, guests can retreat back to the nature lodge and relax in the comfortable lodge while enjoying the company of friends and loved ones. At night, after cooking a delicious meal in the shared kitchen, glampers can surf the web on the free Wi-Fi to research the next day's activities or watch a movie or show on the satellite TV. This site is pet-friendly, but must be approved by the host first. Once approved, a pet fee applies. Smoking is not allowed at this glamping site.